But why does the saga of the Gunnison sage grouse matter, especially because there are only a few thousand of the birds located in remote southwestern Colorado and southeastern Utah? 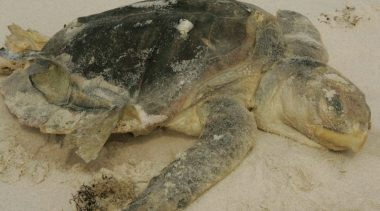 It matters because it is one of the foremost examples of what is wrong with the Endangered Species Act and the federal government’s implementation of the Act. 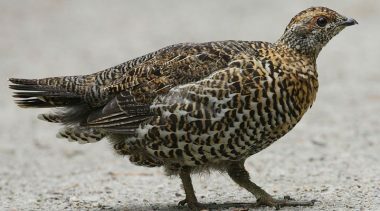 Over the past twenty-plus years, extraordinary efforts to conserve the grouse, led by Colorado and Gunnison County, but also including Utah and the other counties across the bird’s range, have been successful and resulted in a healthy, stable population. Colorado has invested about $40 million in sage grouse conservation, Utah and San Juan County (where the state’s grouse population lives) have invested almost $18 million, and Gunnison County has chipped in with over $1 million and an exceptional range of conservation measures, including sage grouse-specific zoning ordinances and hiring the nation’s only municipal biologist tasked with focusing on the conservation of a single imperiled species. 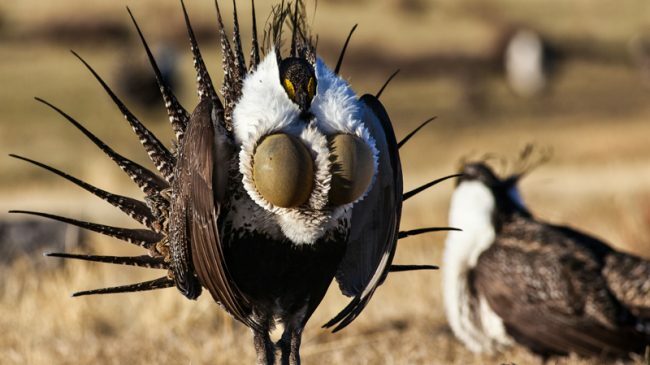 If these extraordinary and successful conservation efforts on behalf of the Gunnison sage grouse cannot prevent its listing under the Endangered Species Act, then there is greatly diminished hope that other efforts to prevent additional species from being listed in various parts of the country can have any realistic chances of success. So in a very real sense, people across the country involved in efforts to conserve imperiled species, keep them off the endangered species list, and prevent the much-feared Endangered Species Act and U.S. Fish and Wildlife Service from entering the picture are part of Colorado’s, Utah’s and Gunnison County’s fight to get the Gunnison sage grouse off the endangered species list and uphold the ability of states, municipalities, landowners and businesses to manage imperiled species, free from the environmentally destructive and unwanted interference of the Endangered Species Act and Fish and Wildlife Service (a detailed summary of Colorado’s and Gunnison County’s successful and innovative sage grouse conservation efforts, and how listing would harm the grouse, is available here). In terms of Gunnison County’s planned lawsuit, one interesting aspect of it is politics. While Colorado’s intent to sue is surprising-because it came at the behest of a loyal Democrat Governor, John Hickenlooper, who decided he had no option but to have a high profile conflict with the Democrat Obama administration, and an internecine fight may have negative national implications for Democrats because Colorado is predicted to be a swing state in the 2016 presidential election-Gunnison County’s impending lawsuit is in many ways even more surprising and a sign of how out of touch the Obama administration is. Clearly, it would take something significant for solidly Democrat Gunnison County to engage in a very public fight with the Obama administration. The decision to sue the administration is a sign of how aggrieved the county is over the listing of the sage grouse and that it feels it has no other option but to undertake the expensive and time-consuming ordeal of suing the federal government. 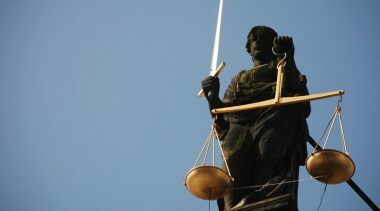 Gunnison County is likely going to spend many thousands, or even tens of thousands, of dollars on the lawsuit, which is no small consideration for a municipality with a population of 15,500 and a 2014 budget of $96 million. Gunnison County has duly adopted policies and regulations including the review, approval, conditioning or denial of proposed activities and uses of land and natural resources that reasonably might impact the Gunnison sage grouse. Gunnison County, since 1995, consistently has provided personnel, facilities, financial support in excess of one million dollars…to protect and foster the Gunnison sage grouse and its habitat. In 1995, the county formed the Gunnison Basin Local Working Group to coordinate sage grouse conservation efforts, which was incorporated in 2005 by the Gunnison County Board of County Commissioners as the Gunnison Basin Sage-grouse Strategic Committee. The Strategic Committee is a very broad-based group of twenty-seven members with representatives from the two counties in the Gunnison Basin (Gunnison and Saguache), the State of Colorado (Colorado Parks & Wildlife), the federal government (National Park Service, U.S. Fish and Wildlife Service, U.S. Department of Agriculture’s Natural Resource Conservation Service, and Bureau of Land Management), commercial interests (Gunnison County Stockgrower’s Association, and the development community), and environmental and outdoors advocates (High Country Conservation Alliance, and someone representing outdoor recreation interests). evaluated over 500 land use related applications (including building permits, individual septic system permits, driveway permits, reclamation permits) and prepared a Gunnison sage-grouse Site Specific Analysis for each. 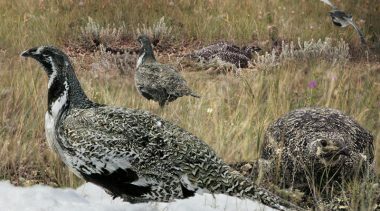 The intent of the evaluations is to reach any application that may have the potential to affect Gunnison sage-grouse. Gunnison County works with applicants to achieve a net benefit in habitat quality on the subject land beyond the direct impacts of the proposed activity. The Analysis identifies specific criteria as permit conditions to avoid, minimize and/or mitigate impacts to Gunnison sage-grouse and their habitats. To date, the State and San Juan County have invested close to $18 million in voluntary conservation programs, land acquisition, research, monitoring activities, habitat treatments, translocation, and predator control programs aimed at conserving the GuSG [Gunnison sage grouse] and its habitat. State and county-led voluntary conservation programs have resulted in protection of over 20,000 acres of privately owned habitat. Because over 90% of the GuSG habitat in Utah occurs on private land, the Utah GuSG plan outlined strategies to encourage voluntary cooperation and participation by key landowners to conserve the species, while maintaining economic viability. In combination with areas of habitat that are federally owned and managed, approximately 75% of occupied habitat has some level of protection. UDWR [Utah Division of Wildlife Resources] staff biologists provide population counts and other raw data concerning the status of the species in Utah, and conduct many ongoing research projects critical to a more nuanced understanding of the needs of and threats to the GuSG. In cooperation with Colorado, which has been a leader in GuSG research and conservation efforts throughout the species’ range, UDWR and their counterparts in Colorado have worked closely with local communities and other stakeholders to generate invaluable data and analysis and to enhance the effectiveness of conservation programs. Voluntary cooperation of private landowners will be much more effective in improving habitat for the GuSG than protections that may be afforded by the listing and designation of critical habitat in this area. The Service failed to give adequate consideration to the efficacy of the conservation agreements which have been placed into service in Utah. A federal listing of the GuSG at this time provides no additional protection or resources beyond those already in place. This is the reality of conservation of the Gunnison sage grouse and so many other species that the U.S. Fish and Wildlife Service fails to grasp. States, municipalities, landowners and businesses will willingly and effectively conserve imperiled species, but the key is that this must be achieved cooperatively. The U.S. Fish and Wildlife Service, wielding the highly punitive Endangered Species Act, works directly against the type of cooperative and voluntary efforts that are needed for successful conservation to occur. 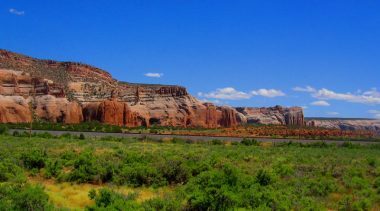 Utah specifically asserts that the satellite population of GuSG, found in the Monticello area [of San Juan County], is viable, and that the protections put in place through the Conservation Plan, conservation agreements, and habitat improvement work generated by the state’s Local Working Group, has been effective in securing the conservation of the species in Utah. From September 2006 through December 2012, a representative of the [U.S. Fish and Wildlife] Service attended 69 meetings of the Gunnison Basin Sage-grouse Strategic Committee. 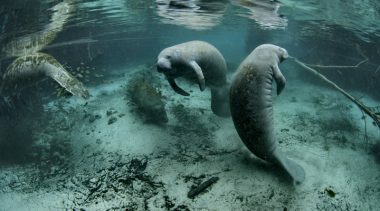 But, during that time, that representative did not inform the Committee that the efforts [of] the Committee, states, local governments and others were inappropriate, insufficient or otherwise unacceptable to the Service as measures to appropriately conserve the species. Nor did the Service propose or initiate conservation measures of its own. The Service reviewed Gunnison County’s draft land use regulations in 2006 and 2007 and provided no substantive comments nor any indication that the regulations were inadequate or ineffective in any way. It is astounding that the Fish and Wildlife Service for over six years provided no substantive input, including not letting the state or county know whether they were on the wrong track to prevent the grouse’s listing, but unfortunately this is business as usual for how the Service implements the Endangered Species Act. Instead of providing substantive input to states, municipalities, businesses and landowners about what specific steps are needed to prevent species from being listed, or to avoid violating the Act for species already listed, the Fish and Wildlife Service sits back and plays “bring me another rock,” a game in which the agency will only indicate whether a conservation plan, or plan to avoid violating the Act, is sufficient once it is fully formulated. 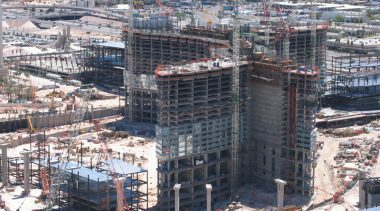 Yet formulating, writing and trying to gain the Service’s approval of these plans can be extremely time-consuming and expensive, often costing hundreds of thousands or even millions or dollars–to say nothing of the often higher costs incurred by implementing these plans. Instead of providing much-needed and often asked-for input to states, municipalities, businesses and landowners in the early stages of formulating these plans, so that those putting the plans together can know whether they’re on the right path or not and thereby avoid spending time and money unnecessarily, the Fish and Wildlife Service will almost invariably only give a thumbs-up or thumbs-down when presented with a “rock,” or finalized plan. Often, the Service will deem the “rock” insufficient and demand another “rock.” But when those formulating a plan ask what specific goals must be met to get the plan approved by the Service, or what must be done to avoid violating the Endangered Species Act, the Service replies that it cannot make such a determination until presented with a finalized plan, or a plan different from the one already rejected. And so it goes in circles. While this game of “bring me another rock” played by the Fish and Wildlife Service is absurd and may even seem amusing, it is anything but amusing in real life. Due to the Endangered Species Act’s massive power and ability to curtail and halt otherwise normal and legal forms of land and resource use, such as agriculture, home building and energy development, the Act can pose a serious threat to the property values, livelihoods and financial well-being of the rural Americans who own most of the country’s endangered species habitat, as well as to hard working people who depend on natural resource-based jobs to support their families and communities. Given these realities, coupled with the U.S. Fish and Wildlife Service’s penchant for playing “bring me another rock,” it is not hard to understand why landowners, states, municipalities and businesses find the Endangered Species Act and Fish and Wildlife Service so frustrating and why there is such resentment and anger towards the Service and Act. On July 16, 2013, the Service Director Dan Ashe visited Gunnison County to observe local Gunnison sage-grouse conservation efforts and to meet with federal, state and local government, local conservation groups, landowners and private citizen partners in conservation efforts. On September 9, 2013, the Service stated: “Gunnison County has set a standard for implementing local regulations designed to avoid or minimize impacts on Gunnison sage-grouse cause by land development and improvements.” (The Service’s written response to Gunnison Basin Strategic Committee questions, received by Gunnison County on September 9, 2013). is going to send a sign to every single local effort across the U.S. that it doesn’t matter what you do–they’re still going to list the species. Never in the history of the Endangered Species Act has the Fish and Wildlife seen these kinds of efforts [as occurred in Gunnison County]. Placing the bird under the oversight of the federal government will greatly reduce our ability to help the bird. Putting the bird under the management authority of the federal government will create roadblocks that will make it difficult to complete work to help the species. This is yet another case of the federal government thinking it is smarter and more capable than the states and communities-a notion I flatly reject. It took a long time to develop that trust. If this goes south and we lose those partnerships…that will all have been wasted. Let’s hope for the sake of the Gunnison sage grouse and other species across the country that Colorado, Utah and Gunnison County prevail in their lawsuits so that they can be free once again to pursue their innovative and successful approaches to sage grouse conservation.